The ‘Pawpular’ Best Best Fiends Show Is Back! The Best Best Fiends Show is back with an un-fur-gettable new episode! 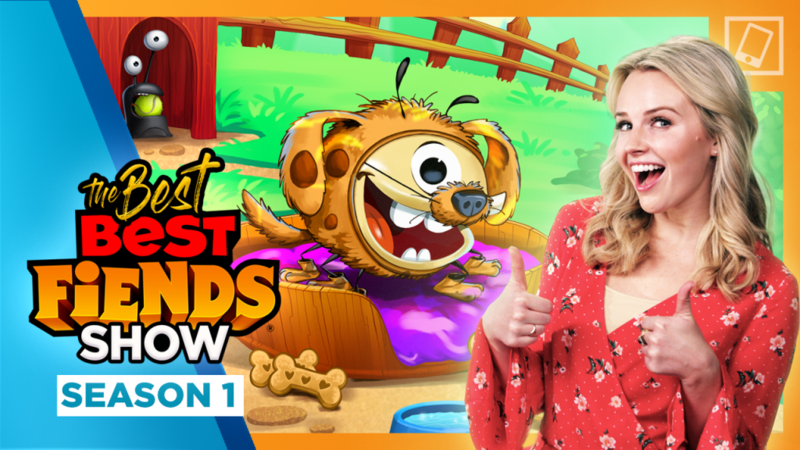 This month, host and Best Fiends fanatic Kimberley Crossman is sharing the latest in Minutia from the Pawsome Challenge and fluffy new Beagle Kwincy Fiend Style Exclusive to the updated video center and awesome new levels. Plus, we’re giving you an inside look at a new Best Fiends Community Story. And don’t miss a behind-the-scenes roundup of the Helsinki team’s visit to Los Angeles for Best Fiends Bootcamp. The Fiends are pawsitive you won’t want to miss this episode, so be sure to tune in to The Best Best Fiends Show HERE!